For the last four years, these and other descriptors have been attached to OYO – mostly out of curiosity but also sometimes to create a half-true perception. 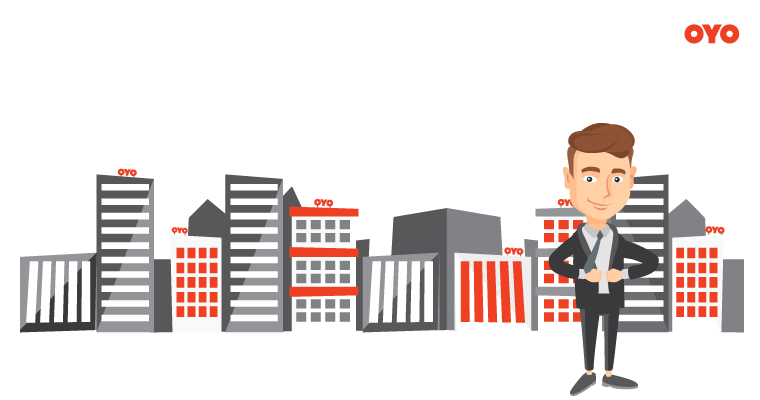 As for us, we have always known that we are a full-stack hospitality tech company with a mission to create great quality living spaces. We own the guest-experience just like a hotel does. With a cool app. Promising standardized services. Wherever you go. At the most affordable prices. That’s why we have on-ground Captains across 100 cities to help resolve customer queries on a real-time and in-person basis. That’s why we run OYO Skill Institutes across 6 cities to train our frontline hospitality staff. And our customers know this too. Because we are their next-door hotel. 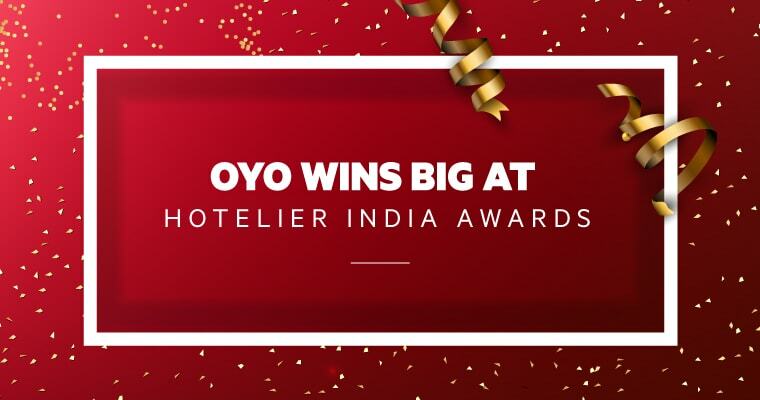 So it gave us immense satisfaction when a premier jury comprising hospitality industry veterans conferred OYO with four awards at the Hotelier India Awards held last month. 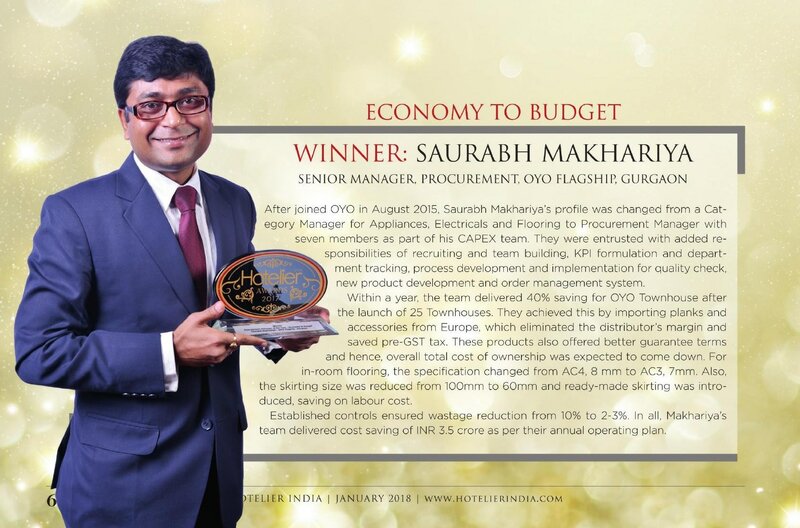 This was a strong display of our expertise in core hospitality sector. We are the only non-traditional hospitality company to be recognized at this well-regarded hotel industry forum. 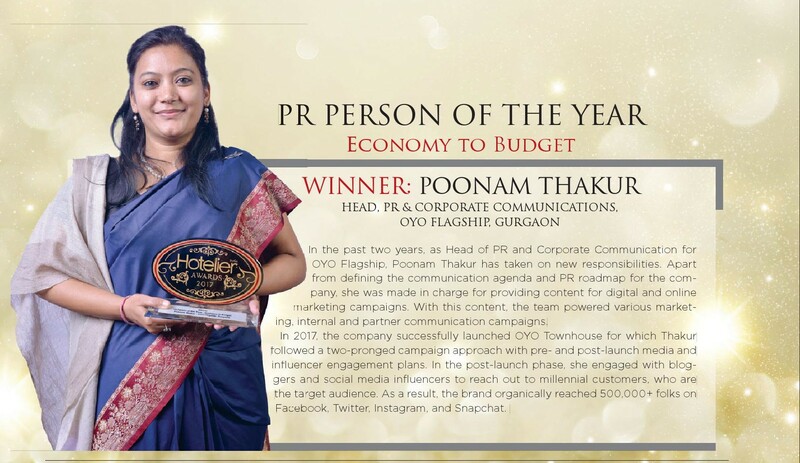 Further showcasing our leadership and capability building, OYO led the honours tally in its segment (Economy to Budget hotels). This is OYO’s second showing at Hotelier Awards. 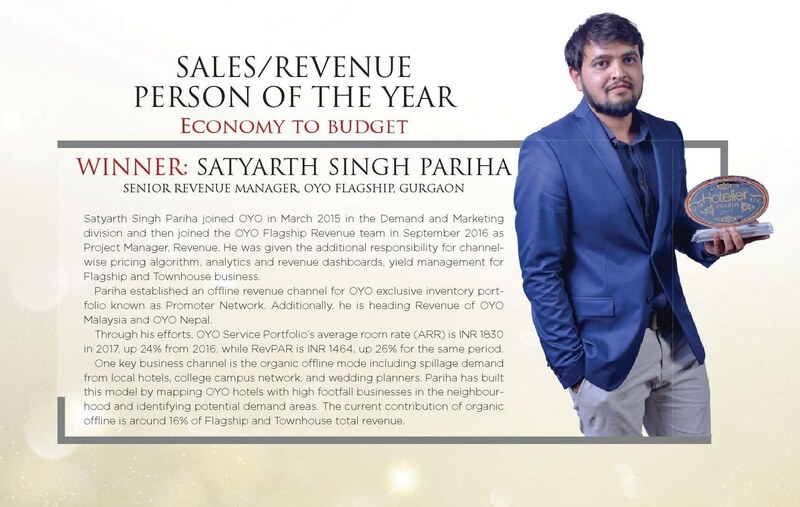 In 2016, Ashutosh Bhardwaj, Guest Leader at OYO Flagship Paharganj, was recognized as the Runner-up in the ‘Front Office Manager of the Year’ category. 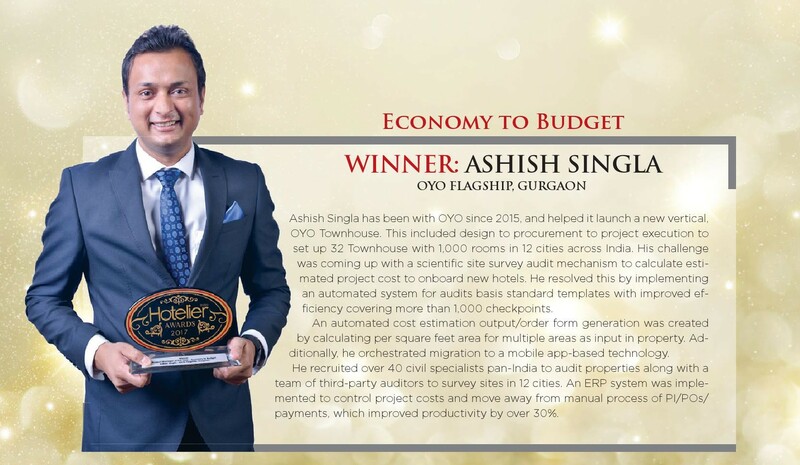 The win is an affirmation of the tireless efforts of our 2500-strong team towards changing the way people stay away from home by creating beautiful living spaces besides shattering any remaining misconceptions about OYO’s business model and brand offering. Here are the glorious winners. Congratulations!